The Dragon of Dojima has returned in this thrilling and personal conclusion to his story that has spanned 28 years of his life. Yakuza 6: The Song of Life is a sequel to Yakuza 5 and continues from where it left off. 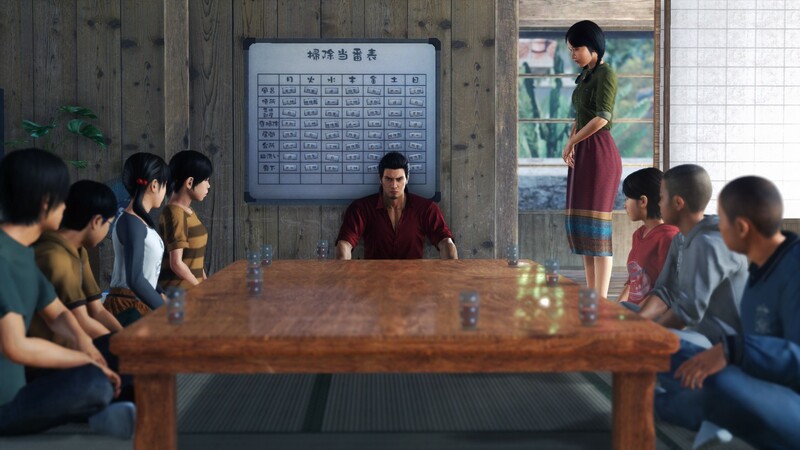 With the Western localization finally being released, fans of the series are excited to play this game, especially the newer fans since the release of Yakuza 0 and Kiwami brought in a lot of new fans. 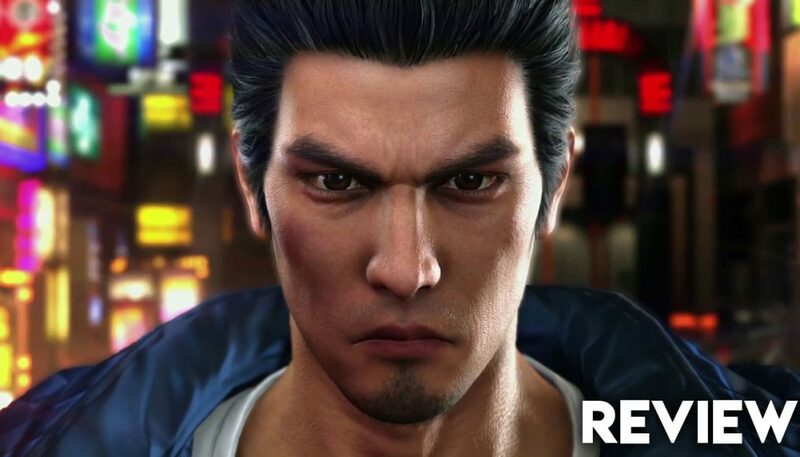 Developed by Ryu ga Gotoku Studio and Sega and, published by Sega it is out now worldwide exclusively to the PlayStation 4 and PlayStation 4 Pro. So, is the final chapter of Kazuma Kiryu’s tale a somber affair or is it full of the amazingness the series has grown to be known for, let’s find out. Yakuza 6: The Song of Life starts off right after the end of Yakuza 5 as our main protagonist and fan favourite Kazuma Kiryu is recuperating from the injuries he sustained at the end of the previous game. While doing so, the police arrest him as he willingly agrees to be trialled for his crimes in an attempt to be free from the Yakuza life and he goes to jail. 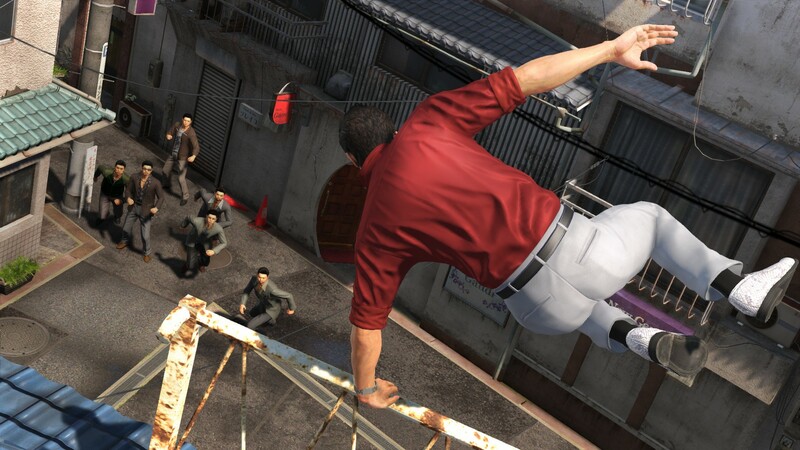 The game begins on his release from jail which is three years later as he is looking for Haruka, his surrogate daughter who was first introduced in Yakuza 1 and it’s remaster Kiwami. 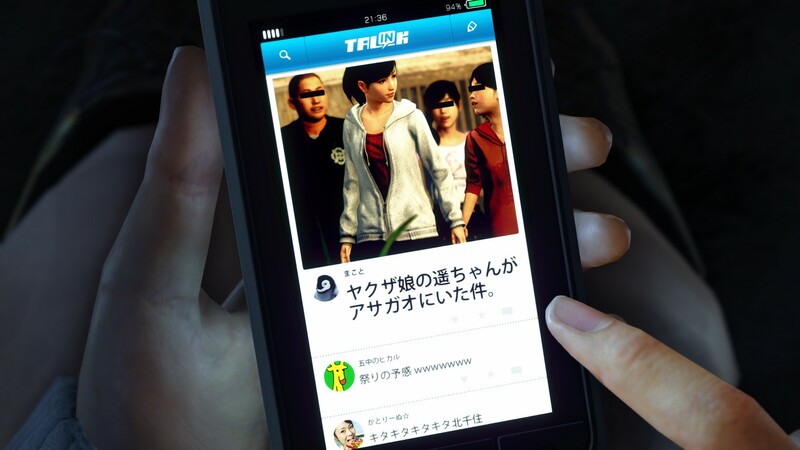 Haruka was attacked by a gang and left in a coma and Kiryu is looking for answers. 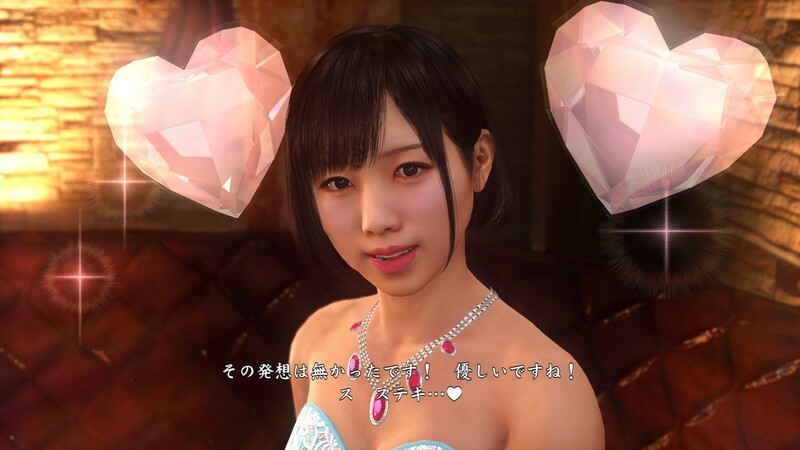 Another surprise is that Haruka was apparently pregnant and had a baby, who Kiryu now needs to take care of and uncover the truth behind Haruka’s attack and the baby. 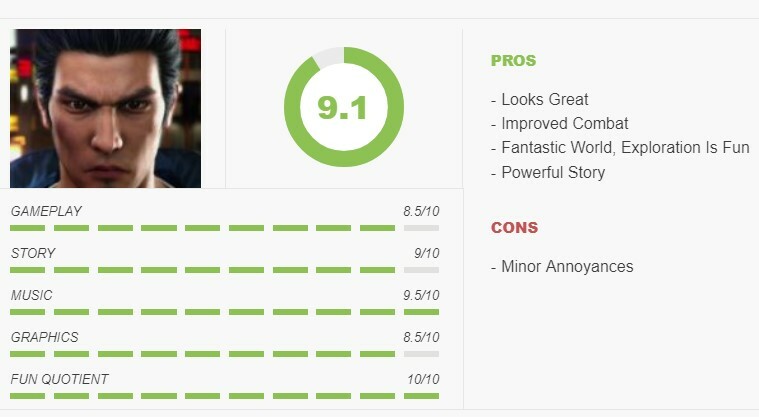 I won’t say more about the story but it is quite good while it does slow down a bit towards the end before picking back up and features a lot of fan favourite characters. Not to mention, watching Kiryu being a parent made my heart melt. The conclusion to the tale of the Dragon of Dojima will leave fans of the series satisfied that’s for sure. Fans of the series will be pleased to see that Kamurocho, the prominent location from all the past Yakuza titles makes a return and now looks more lifelike than ever before. 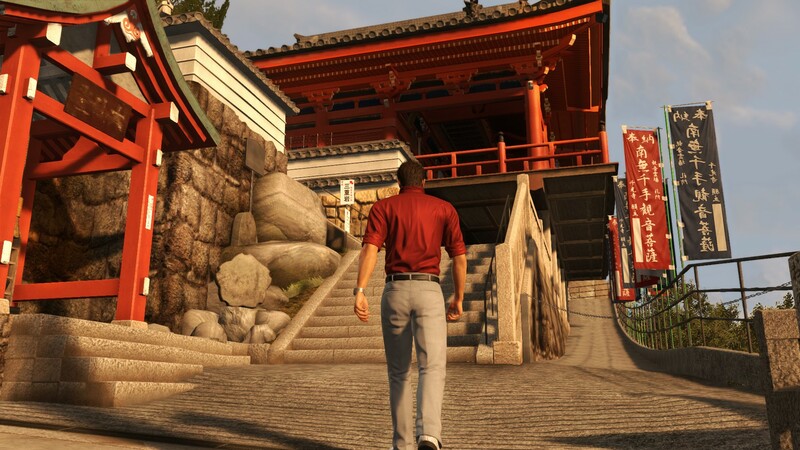 A new location is added to the game which is a stark contrast to the hustling-bustling city of Kamurocho in the form of Onomichi Jingaicho in Hiroshima which is a quaint little town by the seashore. Exploration is much better now since the game has been reworked from the ground up to fully utilize the capabilities of the PlayStation 4. 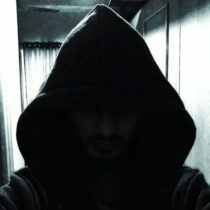 There’s no loading screens anymore when entering shops and buildings or during transitional scenes. The inside of shops and restaurants allows a first person mode where you can sit and watch the world go by through the window. 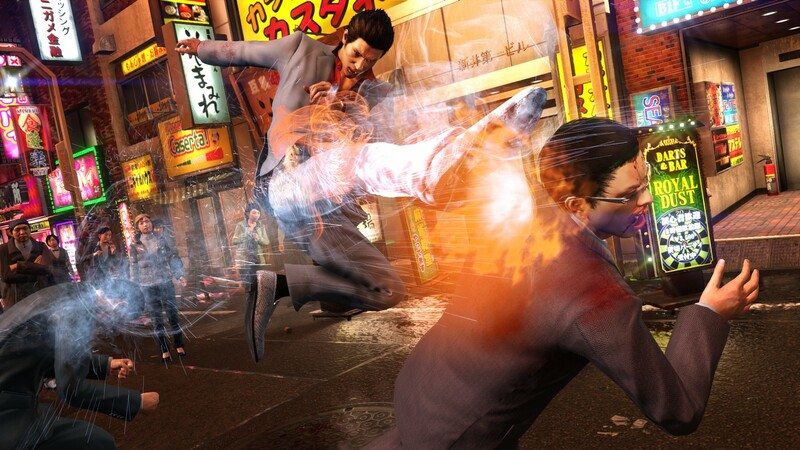 Combat in the game is more fluid thanks to the amazing animation work but does not feature the 4 different combat styles that were found in Yakuza 0 and Kiwami. Instead, it focuses on one fighting style which you can level up. Levelling up is done in various ways like by eating food, fighting enemies and completing side quests, similar to how it worked in all the games before it. The food system has been completely revamped. 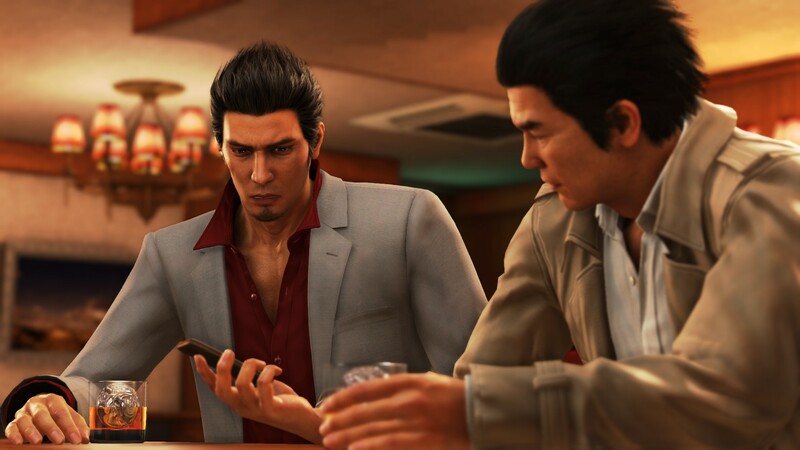 Running around and fighting makes Kiryu hungry and eating like one would in real life with a mixture of drinks and appetizers provides various boosts to Kiryu. 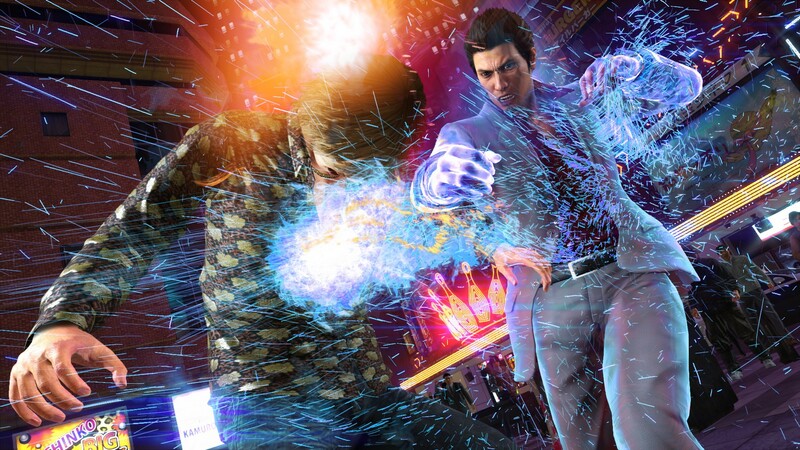 Heat actions are back and are as brutal and flashy as ever, and a Heat mode is also present which boosts Kiryu’s attack and defense while slowly draining the Heat Orbs which are basically the Heat Gauge from previous titles that you build up during combat. Combat seemed to be easier compared to previous titles since a lot of Kiryu’s moves were available from the start which makes complete sense from a narrative aspect since he is a veteran fighter who is considered to be a legend but I think the game would’ve benefited from a few more hard boss battles just to make the fighting feel more rewarding, but that’s just a personal opinion. Now the game’s main story is about 30 hours long but the plethora of side quests and activities that the game features can really extend that to almost double of that. Side quests in Yakuza games have always been amazing and have ranged from bizarre to really heartwarming and Yakuza 6 continues that trend. Every side quest and activity is tied in wonderfully to the game world and never feels forced or out of place. The game introduces a new Clan Battle system where Kiryu makes a gang and must recruit people for his gang to fight against rival gangs. You can hire actual wrestlers from the New Japan Pro Wrestling circuit which is amazing. Kiryu can also coach a baseball team to take them to the top and this minigame also allows you to bat during crucial innings. The Batting Cages themselves make a return along with many other side activities like Hostess Clubs,Karaoke which is a personal favourite since hearing Kiryu sing is something I never knew I needed in my life till I played these games and also has the Sega arcade. The Sega arcade includes Virtua Fighter 5: Final Showdown, Puyo Puyo, Out Run, Super Hang-On, Space Harrier, and Fantasy Zone that are completely playable and also net you with experience or some sort of side quest related progression. Virtua Fighter 5 also includes a two player mode which is just the icing on this tasty cake. The integration of the side activities with the main game world has always been a strong point of these games and it continues to shine in this iteration of the game. Yakuza 6: The Song of Life is a very personal and emotional conclusion to Kiryu’s story that while being pretty good on it’s own is not the best story that has been told in a Yakuza title. That doesn’t mean that it is bad, it just means that it’s not up to par with it’s prequels in that aspect. Yet, it delivers an extremely satisfying end to his tale in the 30 or so hours of story. With phenomenal gameplay and a combat system that is really fun, the upgrade in visuals and animations that have made the game more immersive than ever before and the fun and interesting side quests, this is a game that every Yakuza fan absolutely needs to play and I highly recommend this game, even if you’ve never played a Yakuza game before and are a fan of Action RPGs.